Home / Uncategorized / Go with your gut…. Is Your Gut Keeping you Fat? Go with your Gut, Follow your Gut, your Gut Instinct, these sound like familiar phrases right? That Gut feeling; this not only an intuitive sign to how we feel, but a scientific link that corresponds to the trillions of bacteria known as the Gut microbiome which is responsible for keeping our bodies healthy through strengthening the immune system. Relating back to this the gut could be considered as a second brain as it acts similarly in its daily functions. Millions of neurons that sit within the structure respond to stimulus (anything ingested into the body acts as stimuli) via the Vagus Nerve, I like to think of it as a direct telephone line between both organs that communicate between each other. Breaking this down; consumption has a direct link to your body’s wellbeing, emotions can be linked to this irritation for example or physical nausea. There are numerous books available that explain the physiology of the Gut and links between health and disease in addition how mental disorders can come into play such as: The Good Gut, Brain maker, The Microbiome Solution, and The Gut Balance Revolution, the gut by Gulia Enders, GAPS. 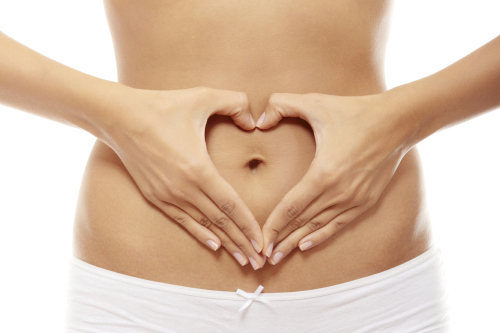 The gut is an organ worth paying close attention to due to its responsibility played throughout the body. The gut accounts for 80% of our immunity therefore its important your gaining a wholesome diet. So how does our Gut cause weight gain and prevent weight loss? Bodies are made up of cells that come together to form an organ, a cells function relies on the nutrients absorbed into the body thus creating energy within the cell, leading to the production of enzymes and hormones vital for metabolic processes. The health of our gut can be impacted by disease, poor diet/ lifestyle choices and chronic stress this is because the processes carried out by cells become disrupted leading to alteration of good bacteria which weakens the gut wall the key instigator of disease and weight gain making fat near to impossible to shift. Internal equilibrium can be reached however chronic inflammation/ frequent digestive discomforts will make this challenging to achieve because of these factors certain systems will be placed under stress encouraging our body to unnecessarily release stress hormones inhibiting the regulation of metabolism. The guts wellbeing can dictate both weight and fat lose, having an increase in bad bacteria will throw the body of balance systematically. So let’s highlight the good guys such as Acidophilus, Bifidobacterium, Lactobacillus, these make up the bacteria strains responsible for digestion & optimal nutrient absorption and elimination. The good news is that we can diversify our microbiota (the habitat of bacteria). For optimum health and better looking bodies, good nutrition such as; fibre most beneficial in the form of fruits & vegetables, having a daily regular consumption of heathy fats with those loving Omega 3’s, quality sources of protein and fermented foods. This over time will encourage the microbiota to form colonies to combat these issues. Chronic stress; including mental, psychosocial, emotional, and physical stress that is unresolved or dealt with poorly. ← Haven’t got the time…? → Growing up as “the girl with asthma”, I’ve always shied away from sport and exercise….